Three episodes new airing Sunday, February 11th at 9:00-10:30am ET/PT on Disney XD. The Spider-Island crisis gets more intense on three new episodes of “Marvel’s Spider-Man,” airing Sunday on Disney XD! In “Spider-Island Parts Three-Five,” the fun and games of a city filled with spider-humans quickly comes to an end when the infected start morphing into terrible spider monsters! Now it’s up to Spidey, Miles Morales, and Harry Osborn to cure the entire island of Manhattan. Check out a clip above as Spider-Man, Harry and Anya come face-to-face with some of those aforementioned spider monsters! 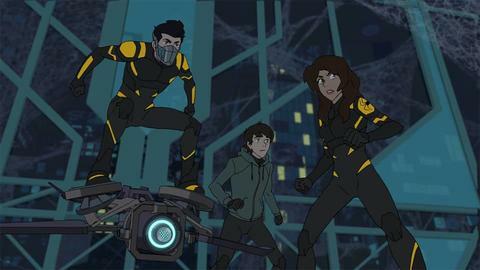 Marvel’s Spider-Man “Spider-Island Parts Three-Five” airs Sunday, February 11th at 9:00-10:30am ET/PT on Disney XD. Before the new season debuts this fall, watch a special interview with two pop culture icons. See the latest short and check out a compilation special this Sunday, June 3, at 11am on Disney XD! T'Challa and Okoye work together to save Shuri from Klaue! 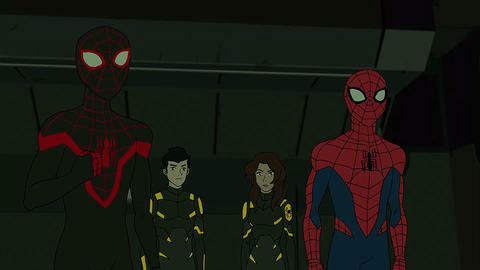 Spidey swings back with one-hour premiere on Monday, June 18th at 6:30 p.m. EDT on Disney XD.